Email marketing is known to effectively reach out to a large volume of audiences and build a strong relationship between you and them. The ROI for email marketing in 2018 is 38:1, meaning for every dollar you spend, you will earn $38 in return. This ROI is currently the highest across the marketing channels. However, not many businesses know how to develop a compelling email campaign, due to a lack of technical knowledge. Oftentimes, people just send a thank-you email to follow up with their clients, but doing so will not be enough in terms of converting them into loyal customers. Happy Email allows you to send a thank-you email, showing your appreciation after a customer creates an account, or makes a purchase for the first time. 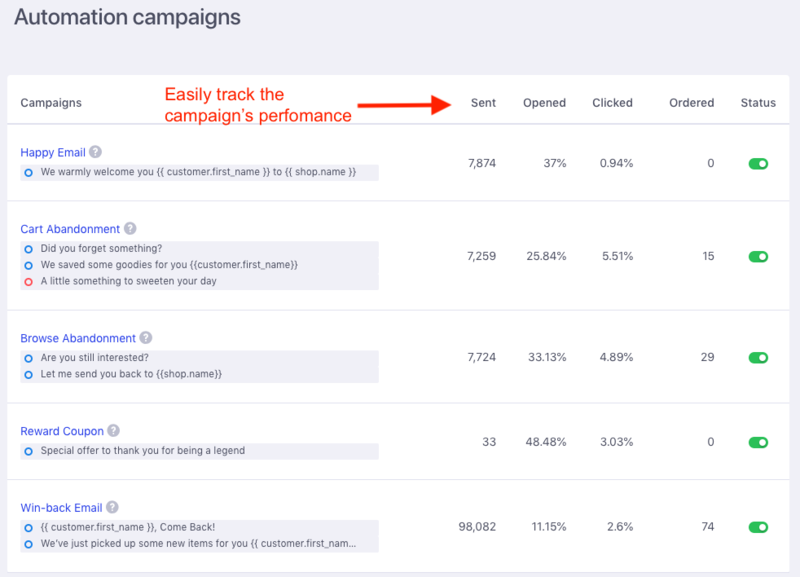 Mailbot enhances the customers’ engagement, strengthens the loyalty base, and potentially increases conversion rate through its 5 powerful automated email campaigns. Next, including an inviting tone in your subject and content is essential in increasing the open rate and click rate, respectively. Customers often tend to neglect the subject line that sounds like an automated advertising email. Thus, you would want to edit the texts to be more personalized. You are welcome to tailor the default subject and message to better fit your style. Doing so will help your customers think they receive the message directly from you and feel more motivated to re-visit the store. Besides, with the app’s flexible-to-edit footer, you can make your email stand out and informative. A new update with our Happy Email allows you to include the recommended products in your email, once you install Personalized Recommendation. This feature works well with the group who signs up but has not made an order yet. Showing recommendation can increase their visits and purchase intent. Sadly, the biggest disadvantage of the app is sending the email only one time to each particular individual. Doing so does not have sufficient impulse for making your customers remember you and come back. It is hard to blame them, as they receive tons of emails from many stores every day. It’s your responsibility to catch up and make people recognize. Mailbot fills in this gap perfectly. It can add many useful supplementary features that help to retain and convert these users into loyal customers. Million online stores are competing with you, so something special is likely to make your customers come back again. The next section will show you how Mailbot can successfully win back your customers. The 5 built-in automated email campaigns can send new arrivals, show relevant recommendations, address the coupon code, and present the abandoned items, all in one compact window. Meaning, the store owner can frequently follow up with subscribers and gradually turn them into loyal customers in just a blink of an eye. Both browse and cart abandonment campaigns aim to target people who are often reluctant to make purchases. These people show a strong interest in certain products but leave your site for multiple reasons. 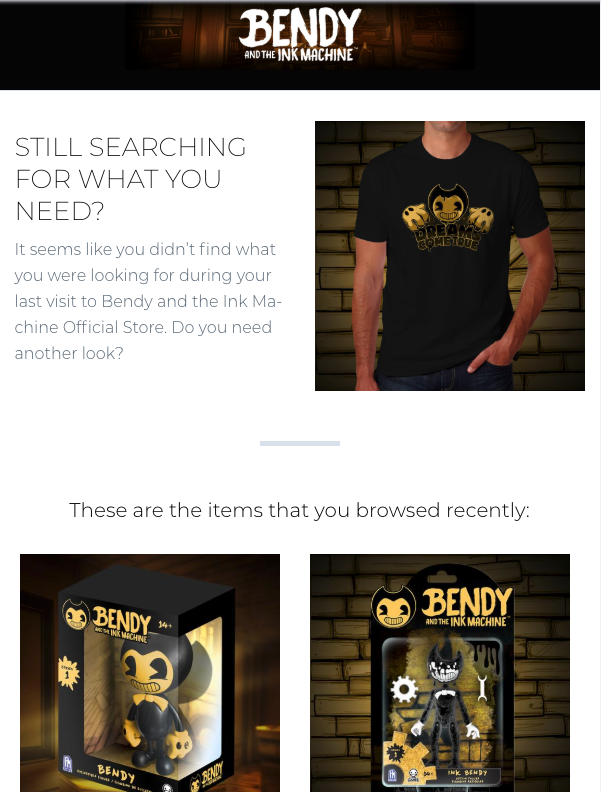 To win them back, browse abandonment campaign displays the products they have searched before, while the latter show item(s) left in the cart. Busy folks will also thank you for reminding them about the items they have liked but forgot to buy. As of result, both your website traffic and conversion rate can increase, giving you a higher revenue. Win-back emails spot at those has not purchased at your store for a while. Sending them an email that contains new arrivals can trigger their curiosity to explore other goodies in your store. Suggesting trending items in this section is likely to increase the chance they would make another purchase. 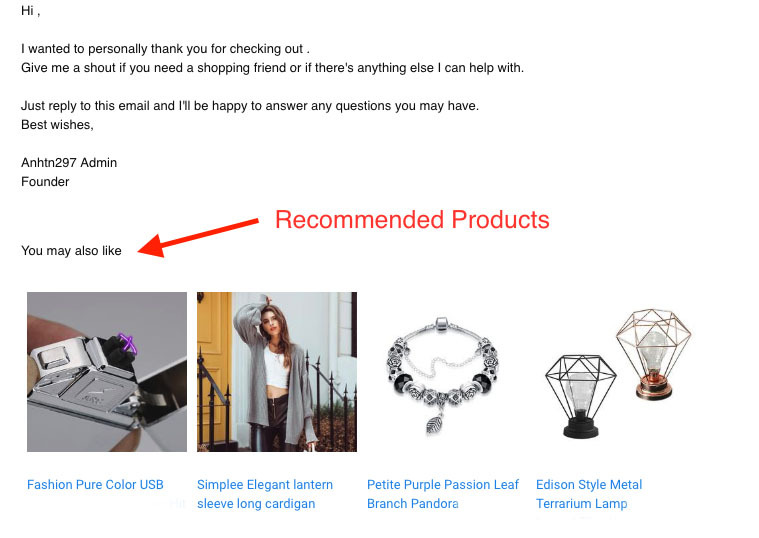 Another option can be sending product recommendations based on customers’ browsing and/or purchase history. Since people nowadays tend to ask for convenience when shopping, they would love to see the relevant or complementary products to their previous order. For example, if they buy earphones, you can recommend other phone gadgets to attract them to visit your website. If they find your recommended products useful and relevant, they are inclined to place another order. Your goal when sending win back email is to trigger the spending power of customers, which increases customer loyalty in return. Thus, a coupon code is an advisable add-on element that we recommend you to include in the win-back email to further influence one’s buying decision. Customers who have the coupon code are more likely to make a purchase as they think they’ve just got a great deal. And if they are happy with the order, they might leave you a nice product review. Doesn’t it sound like a win-win option? 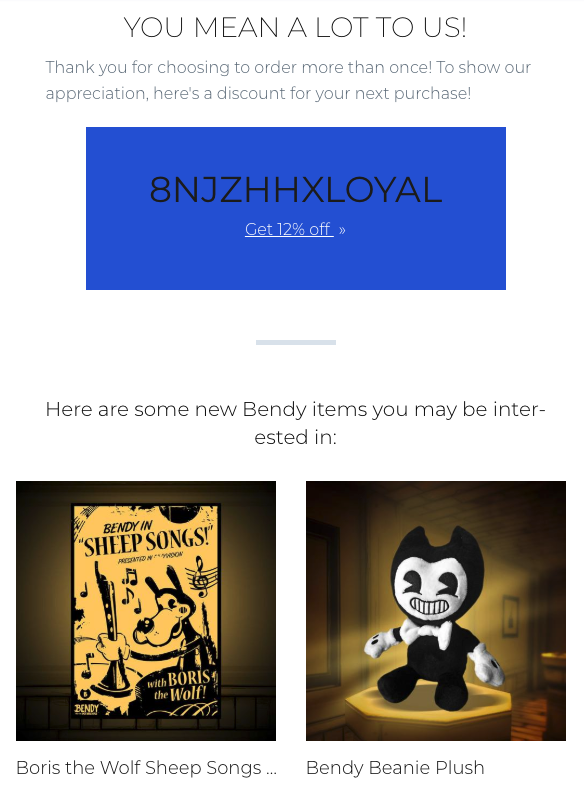 Tip: You can include coupon code in the email or run a separate campaign called reward coupon. The last email campaign – buy again, targets at those who buy the products that can be repeatedly bought again. Since the email shows either same or similar products, it is the perfect option for generating repeated purchases, which potentially build brand loyalty in turn. Once you have brand loyalty from these customers, you no longer worry about their sensitivity in responding to price changes. As this group of customers is price inelastic, you can re-direct them toward similar but higher-valued items. The result is completely a boost in sales. And the best thing? Our AI – Newsletter Bot will automatically do everything for you, from detecting new products to send newsletters, to screening the most relevant products for recommendations. 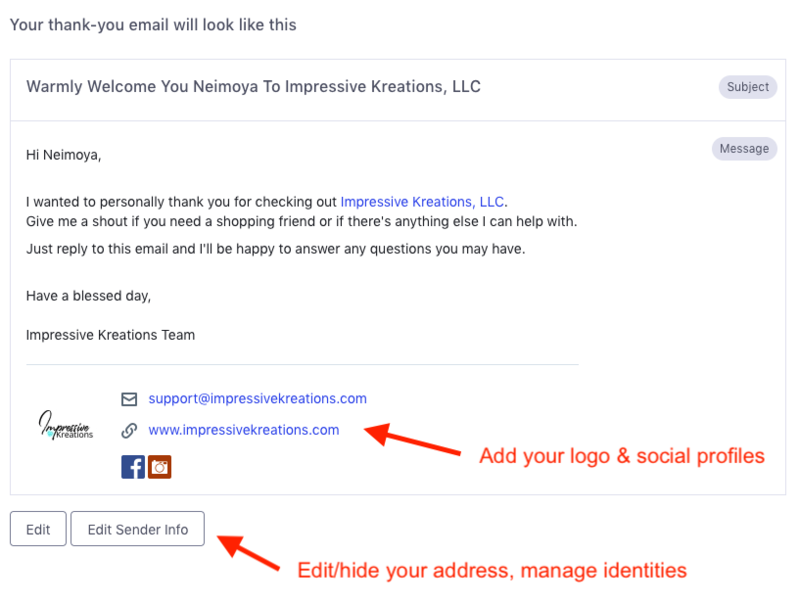 All you need to do is edit the message and turn the Status of each email campaign on. Now you can master your email marketing campaign in no time, and win the customers back easily like a piece of cake. Email marketing is a cheap yet effective way to maintain the relationship between the store owner and the customers. Both Happy Email and Mailbot allow you to connect with the customers even when they are off your site, but the latter is more powerful in winning loyal customers and boosting the revenue. Mailbot alone is trusted and actively used by more than 10,000 online stores. It has already recovered over 60% of lost sales for these stores. We recommend you to learn more tips about Mailbot to maximize its effectiveness. If you need any support during the setup process, feel free to send us an email at hi@beeketing.com. We would be more than happy to assist you.